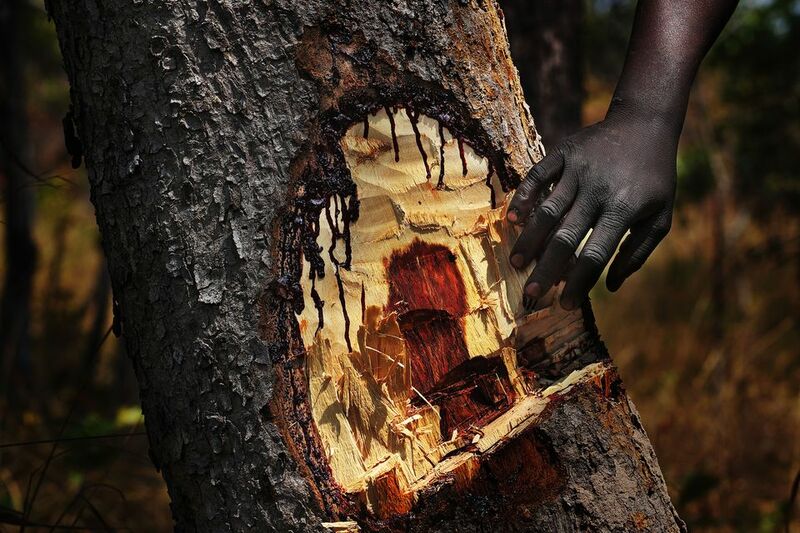 A new project by the award-winning photojournalist Lu Guang, made in collaboration with Greenpeace, exposes how the Chinese appetite for luxury furniture is devastating African forests. Blood Wood, on display at Shanghai’s Beaugeste Gallery (until 23 February 2018), documents the logging of bloodwood from Mukula, a slow-growing hardwood tree, from the forests of Cameroon and the Democratic Republic of the Congo. 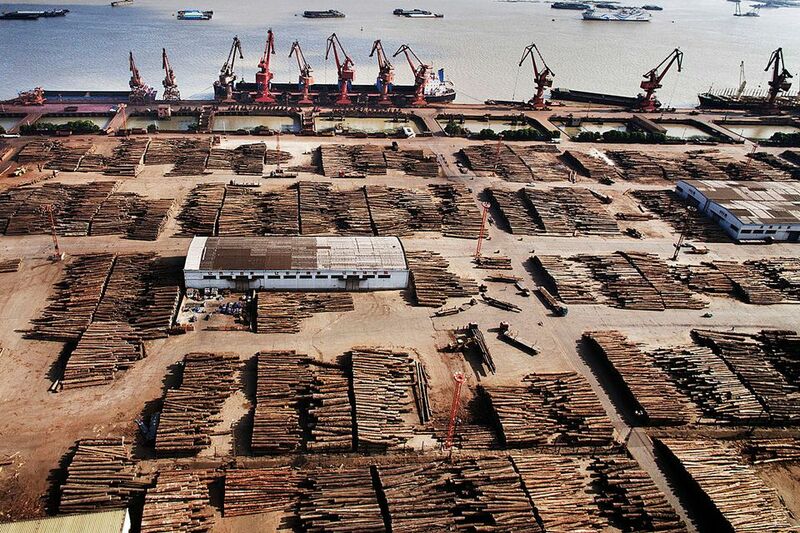 While Chinese poaching of African ivory and rhino horn have attracted more attention, the timber trade’s sheer volume has wide-reaching implications, and wood is China’s third largest raw material import. “The Chinese mafia have moved from tusks and horns to bloodwood.” Loh says. And they often hollow out the trees to smuggle other contraband, he adds. Lu Guang is best known for his 15-year project exposing environmental pollution in China. In 2004 he won the First Prize Stories, Contemporary Issues award at World Press Photo for his series documenting poor Chinese peasants infected with HIV after selling their blood. The exhibition shows the logging processes in the two countries. 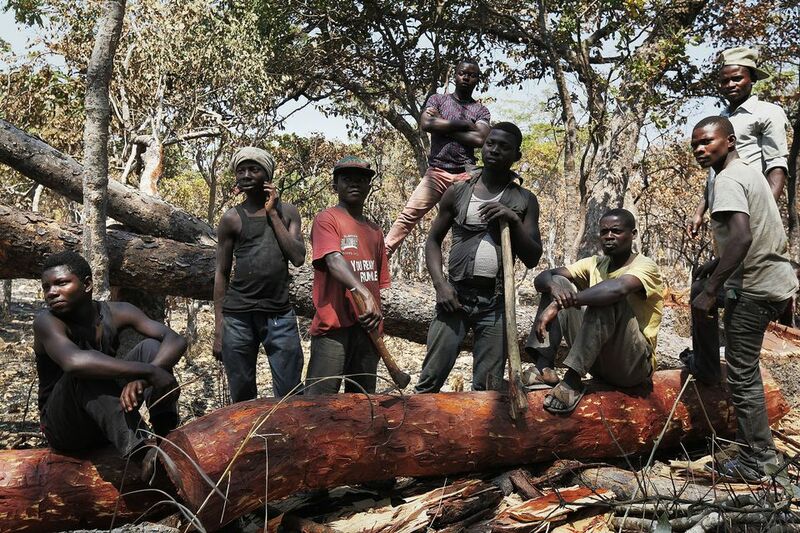 Cameroon permits chainsaws, which can fell a 300-year-old tree in 20 minutes, while in Congo loggers use rough axes. Loggers then debark the trees to their red cores for shipping. It takes 20 people half a day to load one truck manually. Loggers display injuries for which there is no legal recourse, and create a forest god to whom they jokingly pray for forgiveness. Swatches of untouched forest, one of the globe’s great green lungs along with the Amazon, juxtapose with logged sections. Lu follows the wood to China, and the port of Zhangjiagang, where Mukula is sold wholesale for 17,000-22,000 yuan ($2,600-$3,300) per ton. Demand remains brisk.